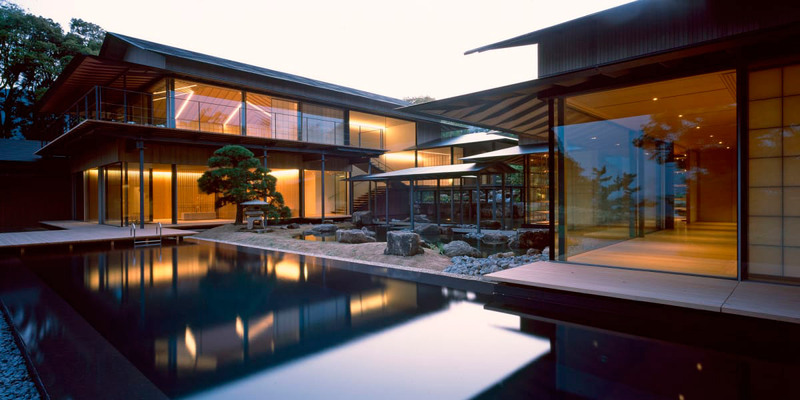 The Water and Cherry House by renowned Japanese architect Kengo Kuma is a private single-storey house in eastern japan. With a strong roots in traditional japanese temples the program is arranged in a windmill formation with four distinct and independent rooms originating from the center-point of the design. As in traditional japanese architecture, the natural environment is strong associated with the dwelling trough an encircled garden. It is my mission to use the kindness and delicateness that old architecture had. I believe that this mission is not easy to complete. So I am planning to work until I fall down. 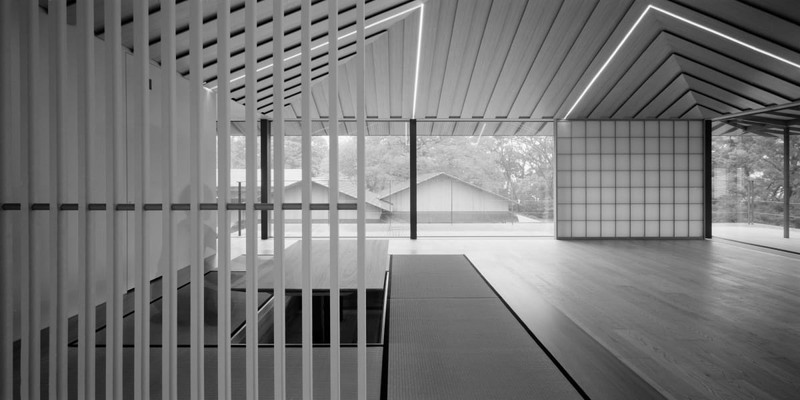 Kuma’s stated goal is to recover the tradition of Japanese buildings and to reinterpret these traditions for the 21st century. In 1997, he won the Architectural Institute of Japan Award and in 2009 was made an Officier de L’Ordre des Arts et des Lettres in France. Kuma lectures extensively and is the author of numerous books and articles discussing and criticizing approaches in contemporary architecture. His seminal text Anti-Object: The Dissolution and Disintegration of Architecture written in 2008, calls for an architecture of relations, respecting its surroundings instead of dominating them. Kuma’s projects maintain a keen interest in the manipulation of light with nature through materiality. 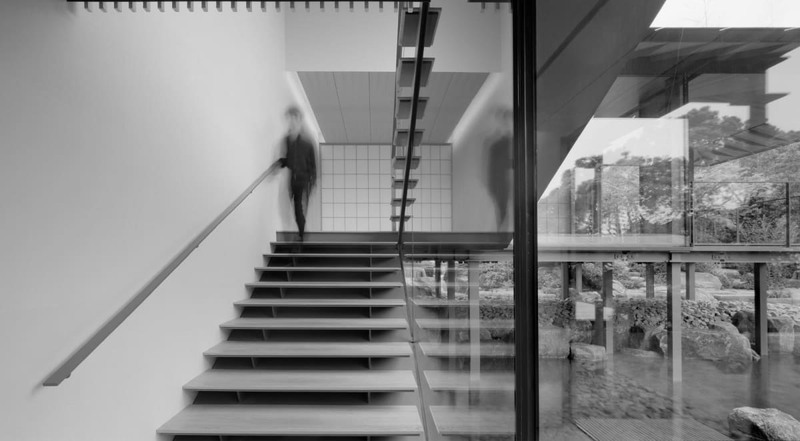 Although remaining in continuity with Japanese traditions with the clarity of structural solutions, implied tectonics, and importance of light and transparency, Kengo Kuma does not restrain himself to the banal and superficial use of ‘light’ materials. Instead, he goes much deeper, extending to the mechanisms of composition to expand the possibilities of materiality. He utilizes technological advancements which can challenge unexpected materials, such as stone, into providing the same sense of lightness and softness as glass or wood. 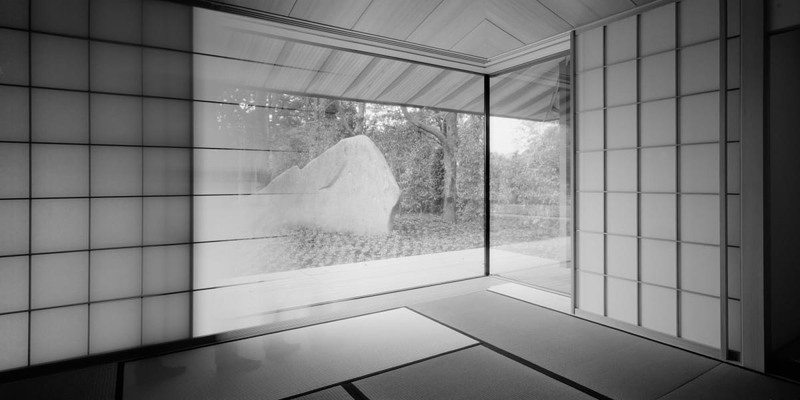 Kuma attempts to attain a sense of spatial immateriality as a consequence of the ‘particulate nature’ of the light and establishing a relationship between a space and the natural round around it. 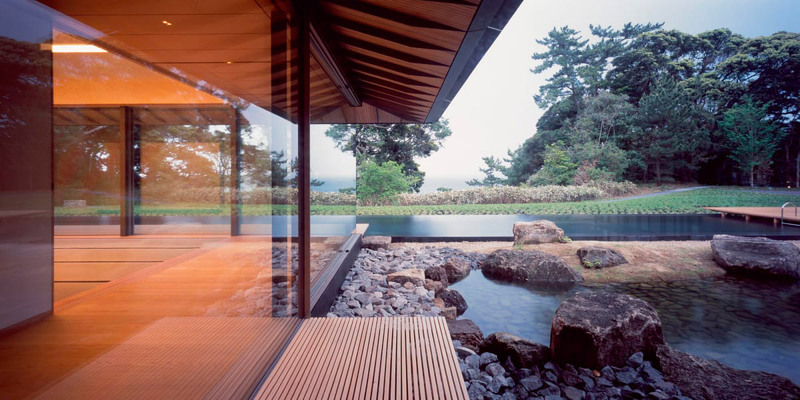 In Kengo Kuma’s projects, attention is focused on the connection spaces; on the segments between inside and outside, and one room to the next. The choice of materials stems not so much from an intention to guide the design of the forms, but to conform to the existing surroundings from a desire to compare similar materials, yet show the technical advances that have made possible new uses. 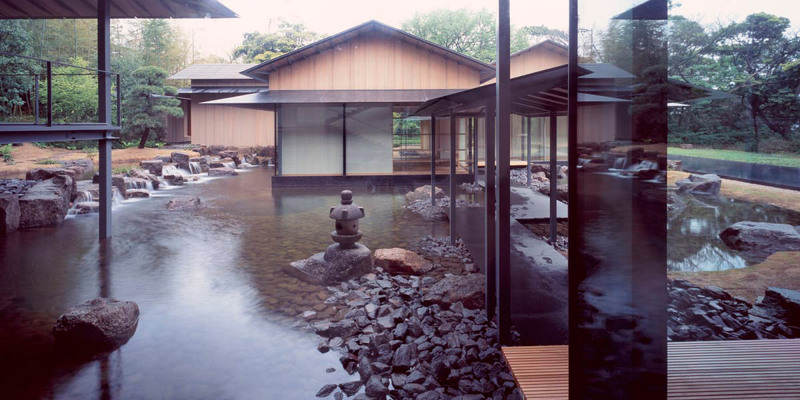 Cite this article: "Water and Cherry House / Kengo Kuma & Associates," in ArchEyes, December 1, 2016, http://archeyes.com/water-cherry-house-kengo-kuma-associates/.